Chicken pox is still a common disease, usually with a favourable course. Complications are rare (2-3/100.000) in immunocompetent patients. The Authors review the published experience regarding treatment with acyclovir and conclude that the advantage is marginall (25% reduction of the duration of symptoms), while there is no reduction in the rate of complications. Acyclovir should be used in immunocompromised patients including primary immune deficiencies, patients treated with steroids or long-term salycilates, patients affected by chronic lung diseases, eczema, diabetes and heart diseases. 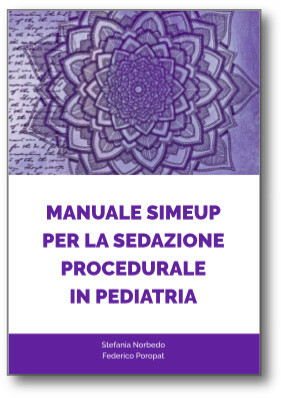 Dieci farmaci sono ora disponibili per specifiche cure di bambini e adolescenti che richiedono cure palliative. Si tratta di un indubbio progresso, anche nel metodo di lavoro. Paediatric palliative care (PPC) aims to ensure the control of symptoms and the best possible quality of life for patients whose underlying disease, characterised by an unstoppable evolution and negative prognosis, no longer responds to specific treatments. 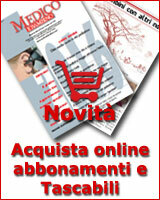 The Italian Medicines Agency (Agenzia Italiana del Farmaco - AIFA) and the Italian Society of Palliative Care (Società Italiana di Cure Palliative - SICP), within a dedicated working group, wrote a document that collects the scientific evidence available to support the offlabel drugs that are more frequently used in adult and PPC. The goal is to certify the consolidated off-label use of these drugs (under the Law 648/96), in the absence of data from its pivotal clinical trials. The paper reports the conditions for this important work and presents the 10 drugs that are usually used off-label in PPC and in pain therapy. At present they are included in Law 648/96 and deemed essential to resolve, at least in part, the unavailability of medicines approved for use in this specific setting. The paper describes a new entity, the Asymmetric Periflexural Exanthem of Childhood (APEC), first described in 1962 and recently recognized as a separate clinical entity by many Authors. It is characterized by scarlatiniform or papular rash which develops usually from a periflexural (axillary or inguinal) area to the thoracic area but with a clear monolateral preference. Respiratory or gastrointestinal symptoms may accompany the eruption. Occasionally moderate pruritus and regional lymphoadenopathy are present. The course is self-limited. This entity is believed to be caused by a virus but no single agent has been identified as a causal agent sofar. The Authors observed 4 cases of APEC over a period of four months in 18 to 24-month old children. 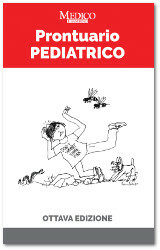 It is probable that APEC can be diagnosed more often if increased attention is payed by paediatricians. Sei semplici regole per la riuscita della procedura, con immagini. The Authors provide an overview of microcytic anemias. Causes of microcytic anemia include a wide variety of diseases, the most common being iron-deficiency, impaired haemoglobin synthesis, sideroblastic anemias and anemias due to chronic disease. Other less common causes are copper deficiency, lead poisoning and haemosiderosis. A classification of the main microcytic anemias is provided and a diagnostic approach to microcytosis, with and without anemia, based on RDW and MCV is suggested.